The Iranian regime has rounded up a number of men in the Khalaf Al-Moslem area near Shush as it seeks to combat a growing armed insurgency among members of the persecuted and deprived Ahwazi Arab community. The National Resistance of Al-Ahwaz, the political front of the militants, claimed responsibility for an attack on a gas pipeline in the Shush area. The families of the detainees gathered in front of the local intelligence services building demanding information on charges against them and calling for their release. They were dispersed after they were told the detainees would be transferred to the custody of the provincial headquarters of the intelligence services in Ahwaz City. 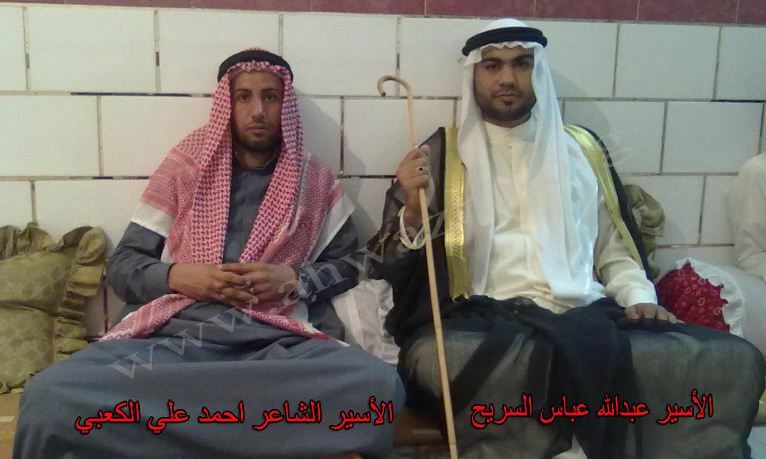 Two other arrested detainees (pictured right) were transferred from the Shawoor area of Shush to the intelligence services in Ahwaz City. Abdullah Abbas Al-Sarih (31), arrested on 19 August, and the poet Ahmad Ali Al-Kaabi (27), arrested on 8 September, have been subjected to physical and mental torture. Relatives of the men claim they have been forced to confess activities they were not involved in. Ahwazi Arabs have frequently testified that they have suffered torture in order to extract false confessions. A secretly filmed testimony by four Ahwazi Arabs, who were executed earlier this year, alleged the direct involvement of state prosecutors in torture. Detainees are tortured into implicating innocent men and claiming they were acting on behalf of various foreign governments. Despite repeatedly claiming to have broken up the Ahwazi Arab insurgency, the Iranian regime has faced mounting social unrest and militancy within the impoverished ethnic group whose homeland contains one of the world's largest reserves of oil.